It was crazy. I was flying along a single lane mountain dirt road at 12:30 at night. Actually, driving it at night was faster than during the day. 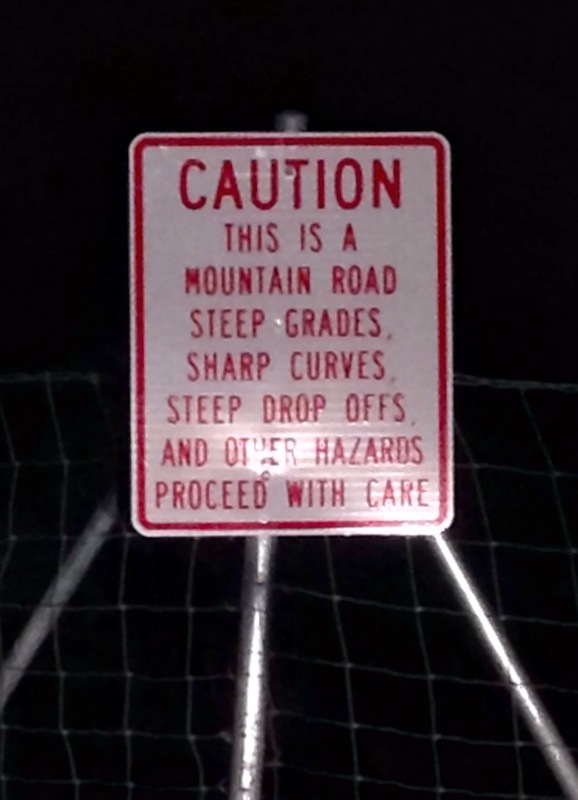 At night I didn’t have to worry about meeting an oncoming truck around a blind corner. I’d see their headlights before I saw them. At least I think I would. My biggest worry was hitting a deer. This was the warning signs when I turned off the highway. Here’s what the road looked like during the hike in with the boys. Not much of it was this straight. I spent last week at a Boy Scout camp with two of my sons and six other boys. We were at a camp called Bennion Creek near Scofield, UT. 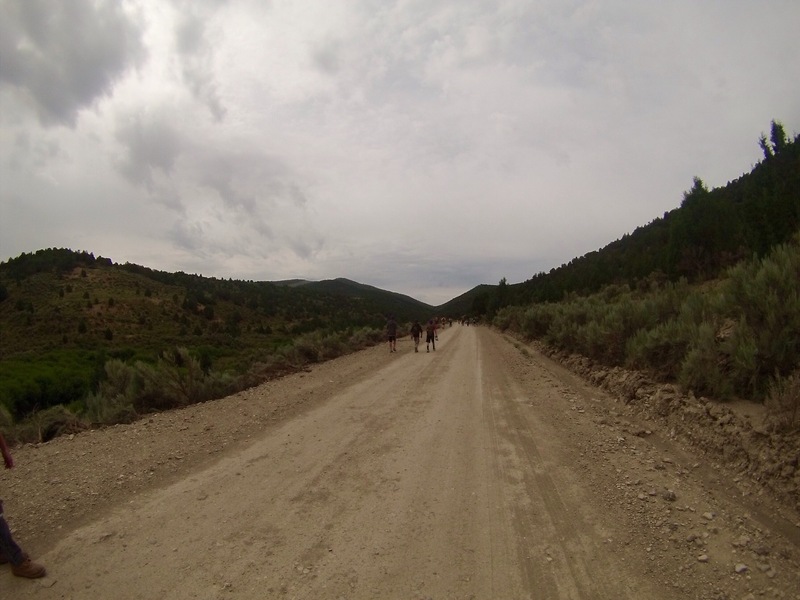 It was about 30 miles up Spanish Fork Canyon and then down a six mile dirt road. Can we get cell service here? Oh sure, people have had pretty good luck from the top of the ridge south of the camp. It’s about a mile around by car, or you can hike up from the stream. Being disconnected was refreshing. I took my pocketwatch since I assumed phones would be very inconvenient clocks. I had a great time. So, why did I spend every evening driving the six miles down the dirt road to the highway? I’ve been writing this blog for about two and a half years. I haven’t missed a day since I started. Monday – Friday: 7:00 AM Mountain Time. My hope is that it adds a little light hearted start to your day. Hopefully, entertains, or even possibly educates just a little. I didn’t write my blog entries before going to camp. Oh, I meant to. I had my topics all worked out. (Signs of a bad manager.) I just never sat down and did it. My friend Howard Tayler writes Schlock Mercenary. He’s been writing and publishing a comic on the web every day since June 12th, 2000. He’s never missed a day. He’s my role model. But, Howard is smarter than I am. He creates a buffer. Typically he’s writing 30 days ahead of his publishing schedule. It lets him go on vacation, or to a convention, or even get sick without worrying about breaking his streak. Like I said, I’m not that smart. I figured out at camp that I could hook my bluetooth keyboard up to my phone and compose blog entries on the phone. My iPad, the platform I normally use, only has wifi, no cellular capabilities. And my phone is a Cricket phone. Great price, but no hotspot capabilities. So, I wrote an email to myself that was the blog entries last week. Then, after all the boys were in bed, I got in my car and headed out to the rest stop about a mile down the highway. But before the highway was the road. Just under six miles of twisty-turny-blind-corners dirt. I averaged 40 mph on my way to the highway. That’s probably 15 mph more than I should have. Once I got to the rest stop, I still couldn’t make a call, but I could get data through. I then copied the contents of the blog email and opened http://www.wordpress.com in a browser. I missed getting to use some of the advanced features that are in the app. But, the show must (did) go on. I’m still not writing a buffer, but I have a much better grasp of the risks now. Who knows, maybe I’ll start buffering tomorrow when I talke about how scout camp should be boy focused and it fails when it’s not. There’s a business less there. Stay tuned.